Polymetal International won the Explorer Of The Year nomination with their Viksha project (9,5 million ounces of palladium). Notable finalists in the nomination were Highland Gold with their Kekura project (2.7 million ounces of gold). The nomination Mining Project of the Year has been contested between the gold factory at the Ryabinovoye deposit in Yakutia currently being built by the Seligdar PJSC and Zoloto Kamchatki JSC with their Ametistovoe processing plant aimed to produce 4 tons of gold a year. Gold of Kamchatka emerged as the winner in the nomination. The final at the Investor of the Year nomination saw Seligdar’s Ryabinovskoye mill compete with Polymetal International Plc with who produced their first gold at the Svetloye deposit 9 months ahead of schedule. The third finalist the Bystrinsky processing plant built in Chita by Norilsk Nickel ended up winning the nomination. The Sustainable development project of the year award has been a contest between Sibenergougol who created a monument of nature at the Kostenki cliffs, Polymetal International Plc with their charity photography competition that helped raise money for a girl who was diagnosed with epidermolysis bullosa and Kinross Gold Corporation who organized an ecology monitoring training program at their Kupol and Dvojnoj mines. Last but not least, Kuzbasskaya Toplivnaya Company, who adapted the practice of transferring their land to the Karakansky nature reserve to preserve biodiversity which won them the trophy in the nomination. The HR Project of the Year award was taken home by the Siberian Coal Energy Company (SUEK) who developed the Mining School summer camp and youth learning program. Other finalists in the nomination were Polymetal International Plc who implemented a geological and management skills remote training program and Kinross Gold Corporation, who launched the Executive Director School training program for managers. In the nomination Technology Of The Year, the final saw Polymetal International Plc who developed a Unitarian corporate risk management system based on geomechanical modelling compete with Kinross Gold Corporation who came up with an innovative tail filtration system. The winners in the nomination were Norilsk Nickel, OOO “Summa technology” and UralTehIs (who were nominated together as part of one project) who used innovative industry 4.0 location systems to solve logistical challenges. Mikhail Shumilin, doctor of geological-mineralogical sciences, professor)was named the winner in the “Mining Legend ” category for his scientific achievements -in the field of uranium geology . The Russian mining industry has much to be proud of and deserves greater recognition for its contribution to the country’s economic growth and development of best practices in responsible management of planet’s largest wealth of natural resources. MINEX Russian Mining Excellence Award was established by the MINEX Russia Forum in 2007 with the aim to encourage, recognise and reward excellence in the Russian mining and geological industry. The Awards offer an unbiased and independent platform for highlighting success stories and awarding Russian and International companies and managers for their outstanding achievements in improving mining industry standards and practices in Russia. Participation in the Awards nominations is FREE and open to Russian and International companies. The Award finalists and winners will be announced at the Russian Mining Excellence Awards Gala Dinner on 6 October in Moscow. All finalists will receive diplomas. The winners will also receive handmade bronze sculpture of a Miner set on the semiprecious stone plinth and metal plated plaque. Award description: For achievements in mineral exploration in Russia. Nominee: A company or organisation. Evaluation criteria: Achievements that have helped to expand mineral resources and substantially boost reserves in the period between two MINEX Russia Forums, including the discovery of new fields, a significant increase in reserves of previously discovered fields and/or revaluation of reserves at previously explored sites confirmed by Russia’s GKZ or CRIRSCO recognised reports. 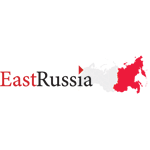 Award description: For the successful implementation of a mining project in Russia. Evaluation criteria: Successful (large scale and effective) implementation of a mining or mineral/metals processing project in Russia in the period between two MINEX Russia forums. Award description: For successful bringing in investments to the Russian mining industry. Nominee: A company or organisation (banks, funds, investment companies which finance mining exploration and production projects, as well as mining companies which participate in M&A deals in Russia). Evaluation criteria: Large-scale financing of third party mining projects (that were not earlier owned by the company) and effective organisation of investment financing of a major project at an early stage and/or in a high risk environment. The valuation takes also into account total investments raised/provided between two MINEX Russia forums. Award description: For the successful implementation of a professional development, education and/or training project in the Russian mining industry. Eligible nominee: A company or an organisation (mining, exploration and service companies, and higher educational institutions). Evaluation criteria: Implementation of a project related to professional/advanced development, education and/or training of mining personnel between two MINEX Russia Forums that led to significant improvements in the professional and qualification levels of company staff and university graduates. Award description: For the successful implementation of project in the mining industry which made significant positive impact on the development of management systems and society (description given in the evaluation criteria). – The implementation of charitable and sponsorship programs. Award description: For the introduction of new technical and technological solutions in the mining industry. 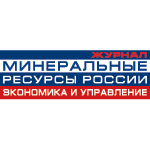 Evaluation criteria: The introduction of new technical and technological solutions in the Russian mining industry between 2 MINEX Russia Forums. Nominations may be awarded to two companies – a service company (developer) and mining company (implementer). Description: For a major personal contribution to the development of the Russia’s mining and geological industry. Eligible nominee: Managers, scientists and employees of companies, organisations and government agencies. Evaluation criteria: Exceptional and widely recognised personal contribution to the development of the mining and geological industry in Russia/CIS. 2. Applications are accepted from Russian and foreign companies, government representatives and executives. 3. Company or project can be proposed for the nomination in no more than 3 categories. 4. To maintain the high professional level of the awards The MINEX Awards Committee reserves the right to accept or reject applications which do not meet the Awards criteria. 6. Finalist it the Categories 1, 2, 3, 4, 5 will be announced on 6 September 2016 on MINEX Russia Forum website and internet poll will commence soon after. Winner in the Category 6 will be selected by the Award Committee and announced on 6 October 2016. 7. The Award finalists and winners will be announced at the Russian Mining Excellence Awards Gala Dinner on 6 October in Moscow. All finalists will receive diplomas. The award winners will also receive handmade bronze sculpture of Miner set on the semiprecious stone plinth and metal plated plaque. 8. Award finalists and winners will be invited for the award group photo and awards interviews recorded for MINEX TV (internet video recordings of the forum highlights).